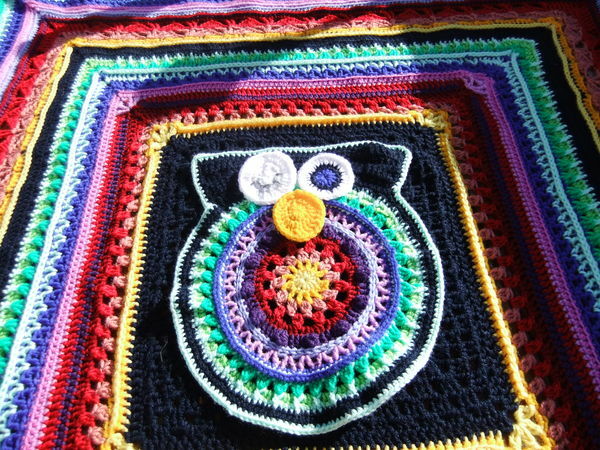 This is my Sunshine Owl Afghan. Pattern is by Hooked On Sunshine, and is a great way of using up odd balls from stash. 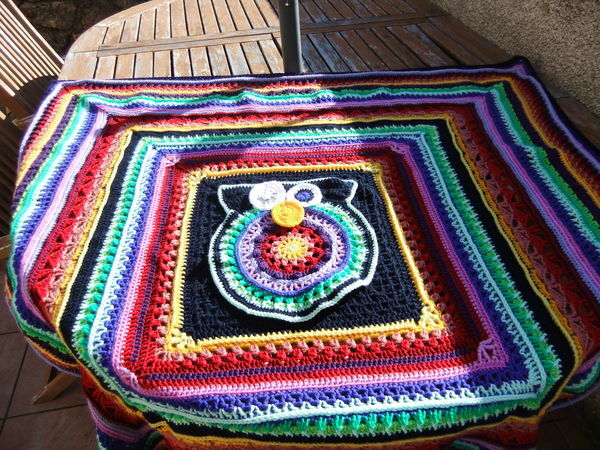 Unfortunately, pictures were taken before the owl was sewn on and the blanket was blocked! 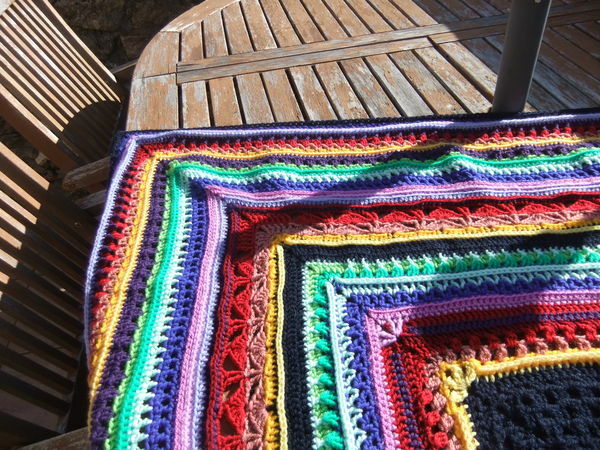 Gorgeous, a happy & bright blanket that would cheer anyone up! Owl give it an A+.